September 21st, 2016 | Categories: Home Staging Success Stories and Home Staging Tips. 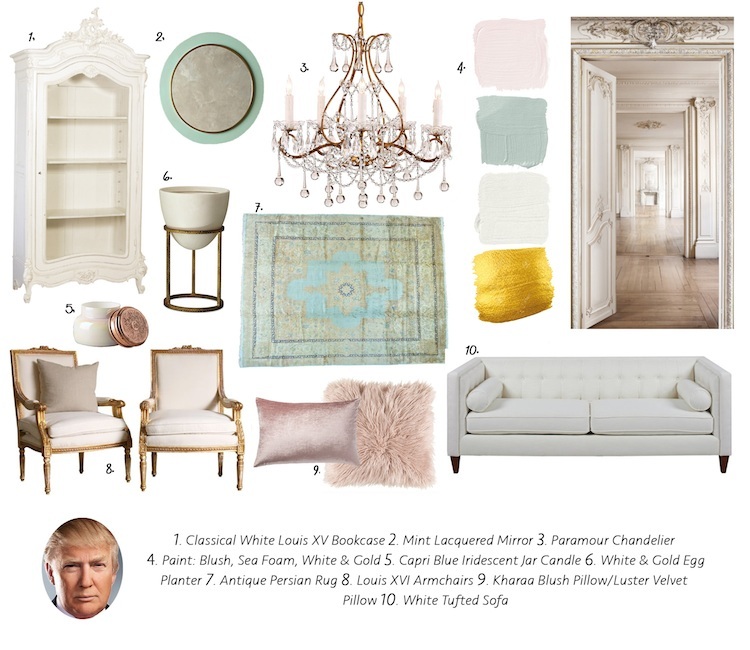 Tags: donald trump, hillary clinton, home staging professional, professional home staging, and real estate. The race for the Presidency is in full gear. That means that in just a few months, either Donald Trump or Hillary Clinton will be moving into the White House and out of their usual residence. That’s why last week I wondered just how I might use home staging to prep Hillary Clinton’s current residence. 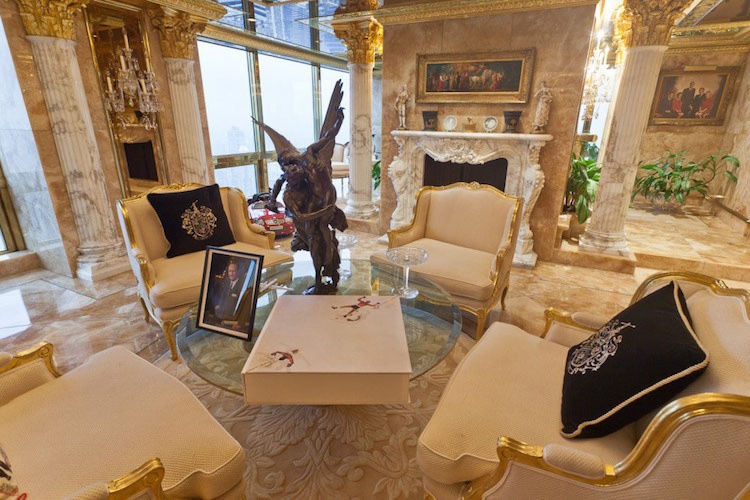 This week though, Im taking a look at Donald Trump’s New York penthouse. 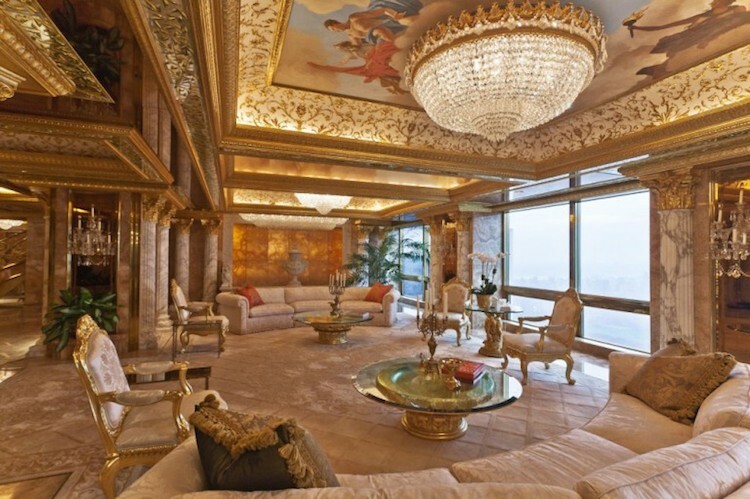 Through an analysis of his home and some spectacular moodboards, I’ll show you how I would professionally stage Donald Trump’s home for sale. An homage to Louis XIV’s Baroque style. 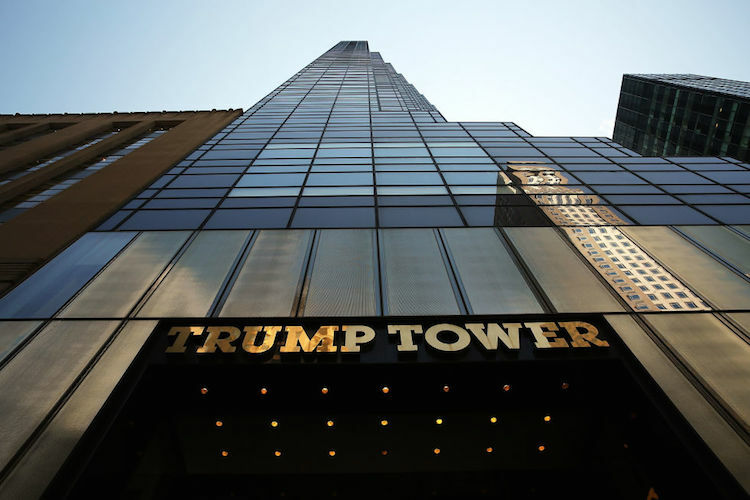 To make Trump’s home great again – approachable and modern. Without some serious construction work to remove the penthouse’s classical columns, I will work with them. My approach will be a more subtle nod, with decor, to the clear Louis XIV references in the home’s architecture. I’d like to soften the color pallete in order to neutralize things. I would also paint the home’s interior walls and ceilings a clean white to remove all the gold leaf. 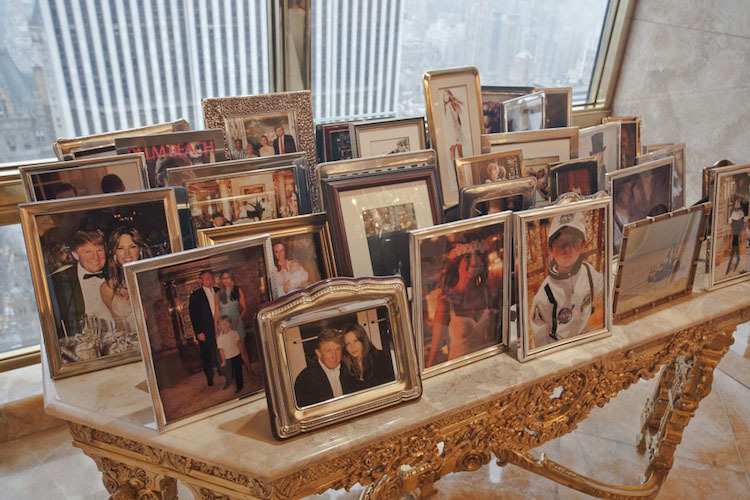 I would suggest packing away all of the Trump family photos. 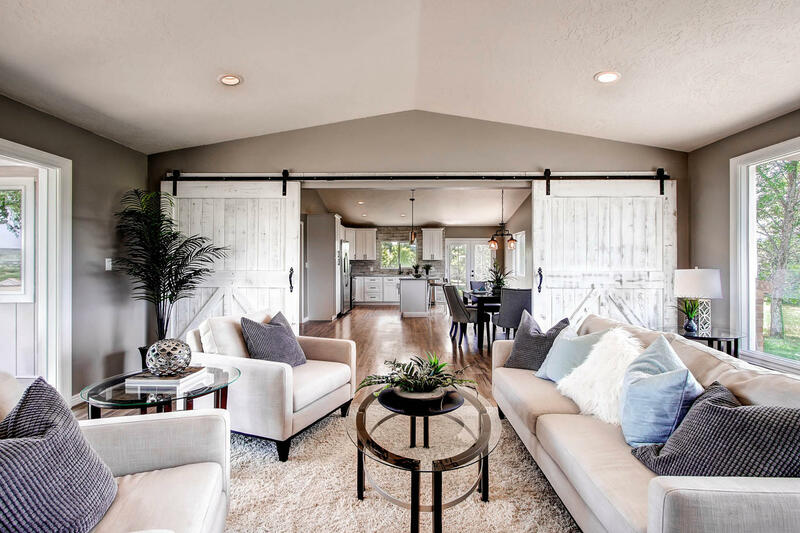 While those are great for making a house feel like your home, when it comes time to sell, personal photos can be a distraction to prospective buyers who are trying to imagine themselves living there. 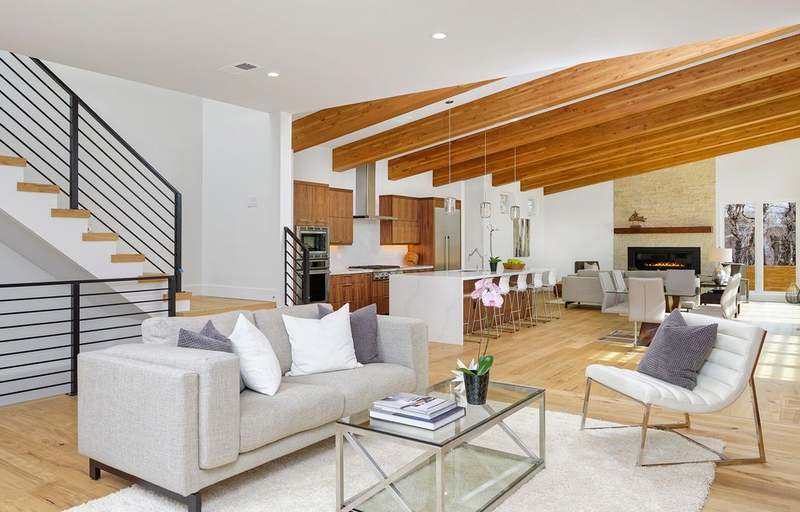 A home with a modern and inviting take on classic French style. Softening the color pallete to blush pink and some gold allows the home to reference its inspiration while maintaing a contemporary vibe. A pop of conetmporary style is exactly why I love this tufted sofa. Mixing in the Persian rug and some different textures, via the throw pillows, makes the home feel playful. By neutralizing the decor in this penthouse, buyers are now free to focus on its beautiful views of Manhattan. 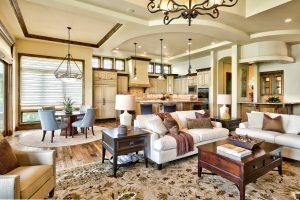 One Good Home Staging Deserves Another! 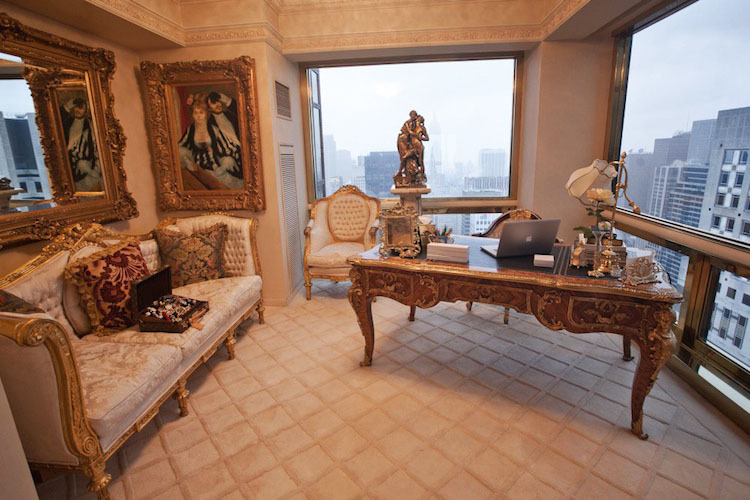 Love how we staged Donald Trump’s penthouse? 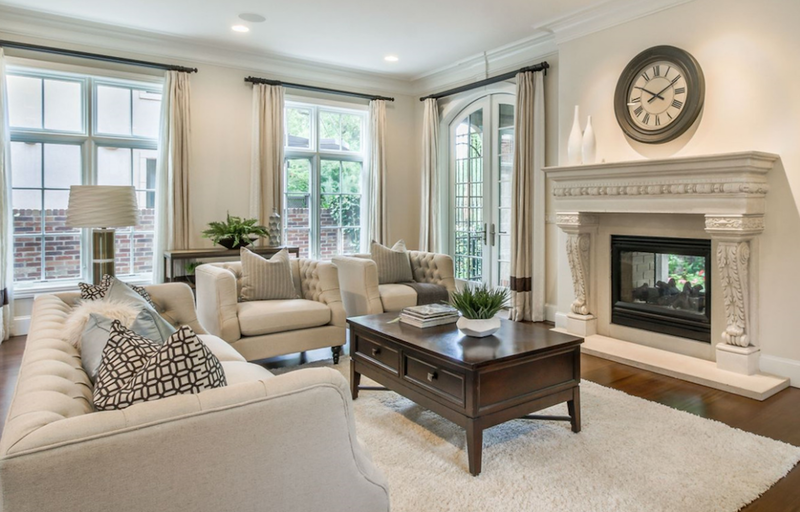 See how we used home staging to perfect Hillary Clinton’s home.